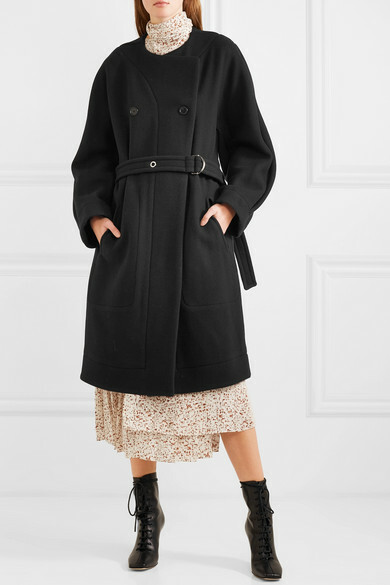 Chloe's timeless coat will layer well over so many pieces in your closet. 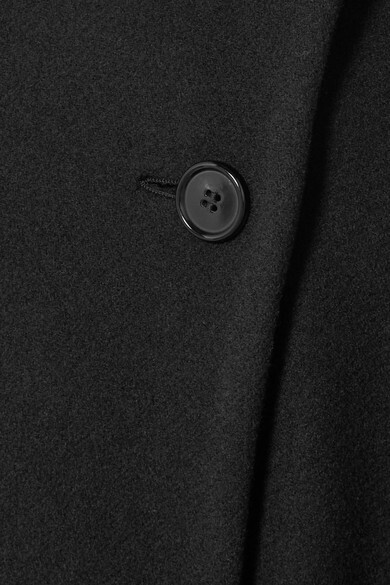 It's cut from warm navy wool-blend felt in a loose shape and is detailed with horn buttons through the double-breasted front. 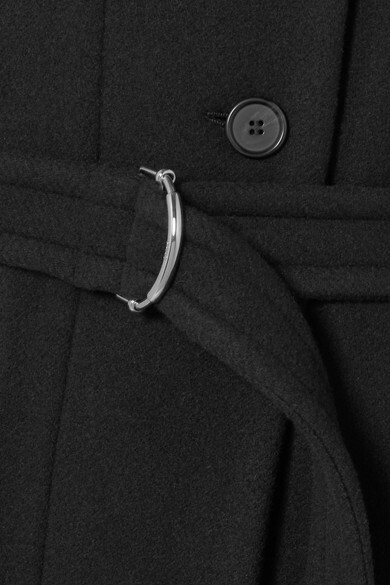 Use the belt to define your waist, or leave it open over a cashmere sweater and a pair of the house's tapered pants. 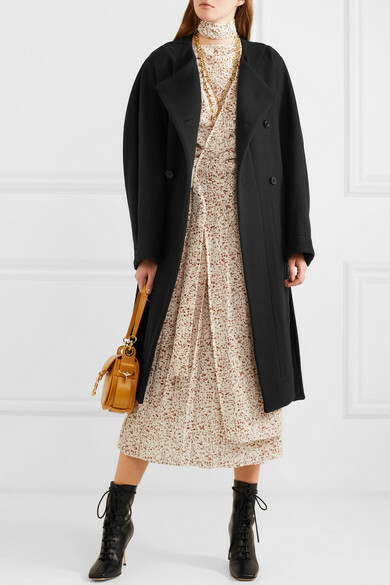 Shown here with: Joseph Dress, Chloé Shoulder bag, Petar Petrov Ankle boots, Chloé Necklace, Chloé Necklace.